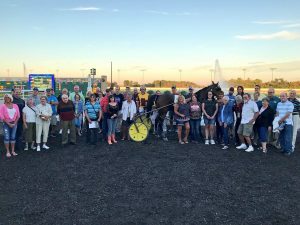 First Turn Stable, now in its third season at Hoosier Park, watched as their horse Vintage Grand captured his third win of the summer for the fractional ownership group Friday, Sept. 14. 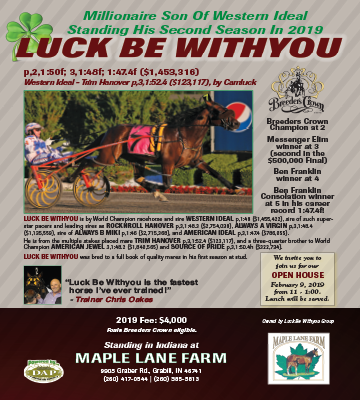 With Ricky Macomber Jr. at the controls, the four-year-old son of Vintage Master turned in a gate to wire performance for the win in 1:52.2. Trained by Jamie Macomber, Vintage Grand was acquired by Jamie for the group at the beginning of the season through a private transaction. 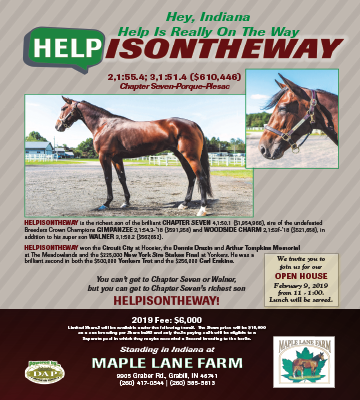 He turned in 18 starts in nearly six months of racing, earning in excess of $15,000 for the group along the way. The latest win for the Maryland-bred gelding was a new lifetime mark. Unfortunately, Vintage Grand was claimed out of the race by At The Wire Stables of Indianapolis. Jamie, who is in her first as trainer for the group, will look to replace Vintage Grand in her barn for the owners of First Turn Stable. 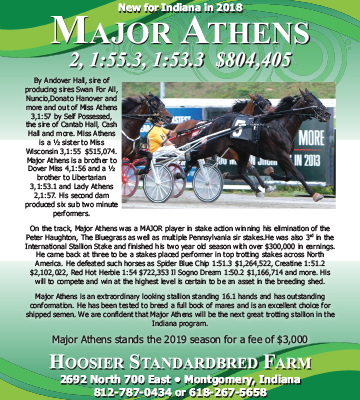 First Turn Stable is coordinated by Amanda Gaskin at Hoosier Park. 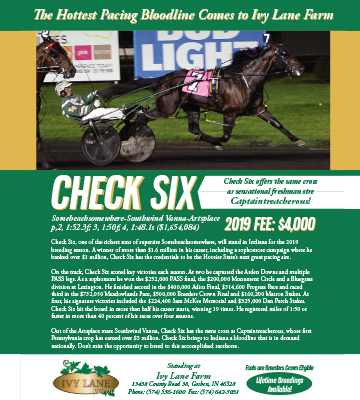 In addition to race day perks, the owners receive exclusive access to the backstretch to visit the stable’s horse, special parties and dinners and other perks of being in the stable. The cost for the season is a one-time fee of $250. 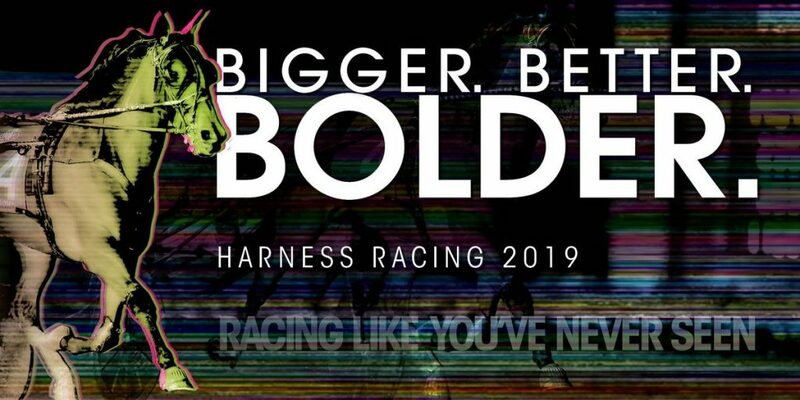 For those interested in joining the program for 2019, contact Gaskin at Hoosier Park by email at Amanda.gaskin@hoosierpark.com.